- The Gadsden flag, with its "Don't Tread On Me" motto, is an instantly recognizable icon from America's early history. 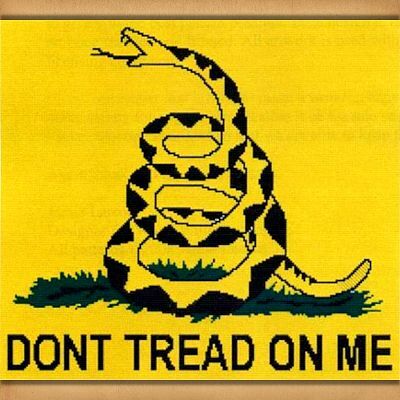 The golden field and coiled rattle snake were used as one of the first flags of the United States, only later replaced with the current Stars and Stripes design. 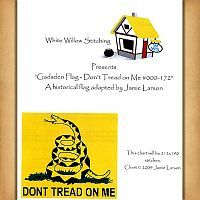 Cross stitch pattern measures 212 stitches wide by 190 stitches high. 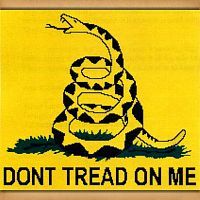 Do you have any other questions about our Gadsden "Don't Tread On Me" Cross Stitch Pattern?